Vegan cakes and desserts are my passion recently. I think I have baked and tried quite of few, whether I will succeed repeating them in order to post the recipes in the blog… I doubt it! But I’ll try to share the best ones. We had it with coffee and for breakfast on the day after… Wonderful aroma and taste for the start of the day! Vegan desserts can be a challenge, most of them are similar and little dull. 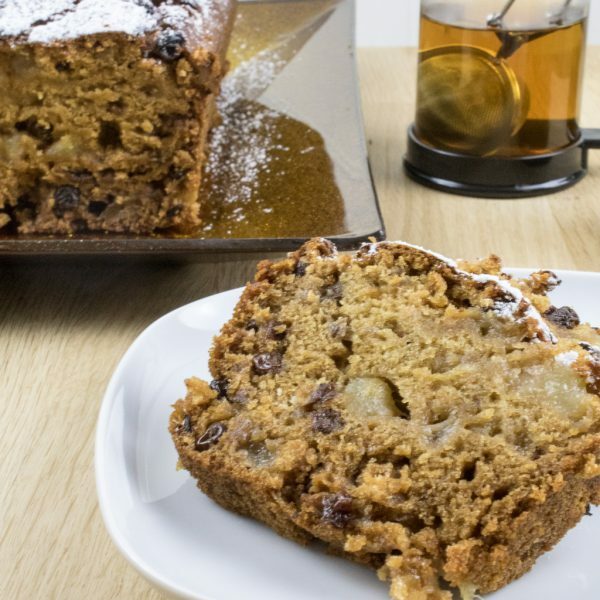 This cake with pears is moist, full of taste and aroma and with fruit pieces and walnuts. Peel and cut the pears into pieces of 1cm. The first 8 ingredients of the list put in the saucepan and boil for around 5 minutes. I remove it from the stove and let it cool down at room temperature. At the same time I turn on the oven and heat it up at 180 degrees for 10-15 minutes. I oil the loas tin (the size of mine in cm 27 x 11) and sprinkle with a little flour... I remove the surplus flour. You can also use baking spray for this but i prefer the old-fashioned way. The loaf tin can be a little more different of course. I mix the flour, the baking powder and the walnuts in a bowl. Then I add the chilled mixture of pears and stir well. I put the cake mixture in the loaf tin and bake for around 40-45 minutes. 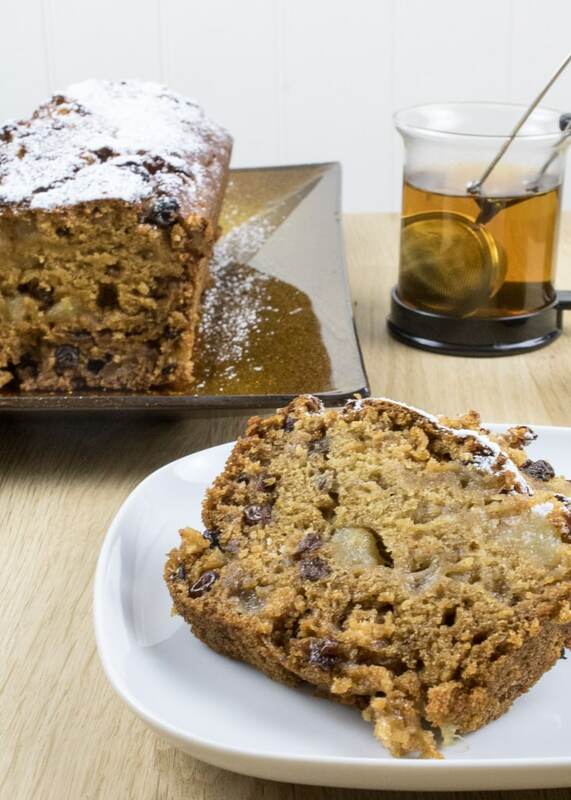 The baking time depends a lot on the exact size of the cake tin, if you make a check using a toothpick it will be a little moist because of the pear pieces. Don’t wait for the toothpick to be absolutely dry! When the cake is ready, take it out of the oven and let it cool down for at least 10-20 minutes. After that carefully take it out of the tin. You can sprinkle some powdered sugar on top when serving.